We have attempted to present the PHR data in the most simplified and easy to read manner. The design is based on the guidelines provided in the contest. 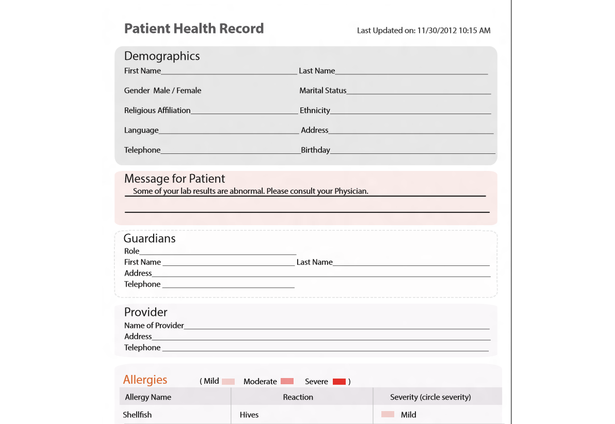 We hope that this design will increase the readability and understanding of PHR among the general population. The image file uploaded is just a preview sample. The PDF file submitted is the actually submission of the work. Glad to participate in this contest. Looks very clean and simple. Good job.